We'd love to hear what you think about our mobile site. Thanks for visiting our mobile website. Your feedback about the site will help make it a better place for you and others. 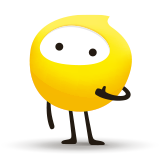 If you'd like to talk about other Optus products, services or our network, you could post in the Optus Community forum. Our helpful moderators will make sure your feedback gets to the right people. Or visit help & support.